Mission Oak Hexagonal Stand is one of our “green” items made from recycled old, oak lumber. 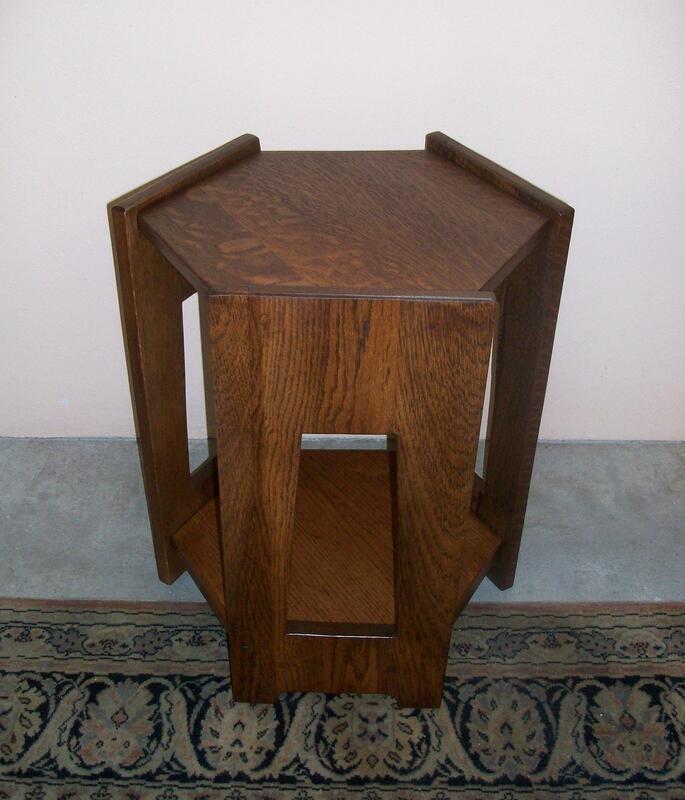 This is a 22″ high stand with a hexagonal top and cut out designs in the sides. The hexagonal top and lower shelf are the same size, offering display space.